When tendonitis affects your foot and ankle, the pain, inflammation, and stiffness can interfere with movement and affect your daily activities. Dr. Dustin Hubbard and Dr. Ralph Dixon at Fairbanks Foot and Ankle encourage you to seek early treatment to prevent tendonitis from worsening. With their extensive experience, they quickly target the problem and develop customized treatments to meet each patient’s needs. To schedule an appointment, use online booking or call the office in Fairbanks, Alaska. What causes tendonitis in your foot and ankle? Your pain may feel worse when you begin to move again after resting, then subside after you walk, only to return with ongoing activity. What conditions are commonly associated with tendonitis? Although there are numerous tendons in your foot and ankle, tendonitis frequently affects the Achilles tendon, the posterior tibial tendon, or the peroneal tendon. The Achilles tendon connects the calf muscle to your heel bone. You use it extensively when you walk, run, jump, climb stairs, and stand on your tiptoes. The posterior tibial tendon attaches your calf muscle to the bones on the inside of your foot. Its primary job is to hold up the arch and support the foot when you walk. 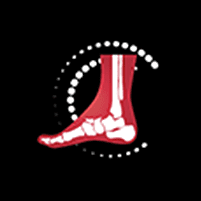 Tendonitis may lead to flatfoot. Your two peroneal tendons run behind your outer ankle, where they help your foot turn down and out. Your treatment depends on the tendon affected and the severity of your tendonitis. Rest, ice, and over-the-counter pain medications are often the first step. You may also need exercise or physical therapy to stretch and strengthen your muscles and tendons and improve mobility. The doctors at Fairbanks Foot and Ankle often treat athletes with tendonitis, developing an individualized rehabilitation program to restore optimal function and prevent future damage. In more severe cases of tendonitis, your doctor may inject cortisone to reduce inflammation and pain. Supportive shoes, orthotics, and custom braces may also be included in your treatment because they reduce irritation, offset pressure, and relieve strain. When conservative treatment doesn’t relieve your pain, or your tendon is torn, surgery is performed to remove inflamed tissue or repair the tendon. If you have flat feet, you may also require surgery to correct the problem. Call Fairbanks Foot and Ankle or book an appointment online to get pain relief and prevent tendonitis from worsening.